When, on 1 April 1987, three students and one Luxembourgish secondary school teacher founded the ‘Trierer Buch- und Kunstantiquariat’, little did they know that two of the students involved would end up making their living with what had begun as a sideline. Their first shop was situated in the Simeonstrasse 22, and although it boasted a generous surface for displaying the goods, it was slightly hidden away from sight, located as it was on the first floor of the building. 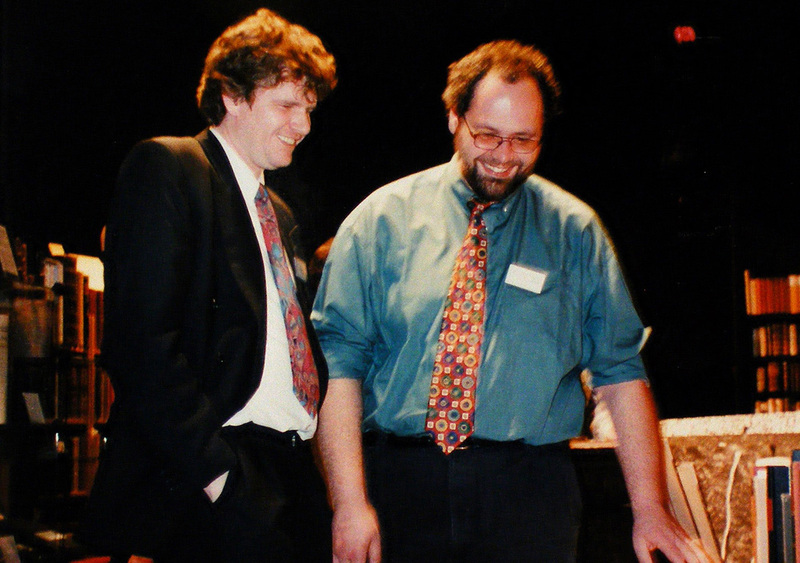 When two of the founding members left the original society on 1 January 1990 in order to follow different walks of life, the ball remained in the court of Peter Schwarz and Peter Fritzen. They both originally came from the little merchant town Speicher in the Eifel, where they had known each other since their kindergarten days. Until 2008, they were running a civil law company together. 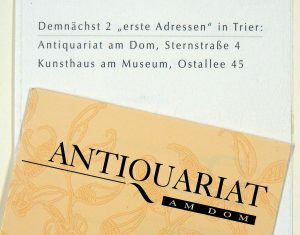 However, it was only after the tandem had opened another shop at a new address on 2 May 1992 that they were able to devote themselves full time to their passion: situated in close vicinity to many of the Trier main loadstones for tourists, the Antiquariat am Dom would become their common platform for a successful future. Since the holdings kept increasing proportionately to the success, yet another common shop was opened on 1 October 2001. The Kunsthaus am Museum, located in the Ostallee 45, finally offered adequate surroundings for displaying the fine prints, the precious books, and the exquisite drawings. Due to a number of disagreements on how to run the company, the two partners each went separate ways on 1 January 2008. 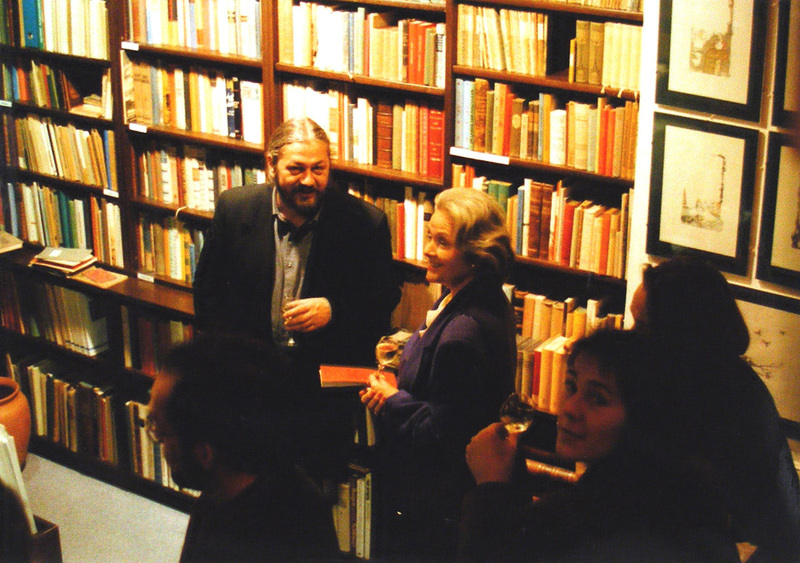 The late Peter Schwarz, who passed away much too early in 2015, became sole owner of the Antiquariat am Dom in the Sternstrasse, whereas Peter Fritzen established himself as sole proprietor of the Kunsthaus am Museum in the Ostallee. After having run an art gallery on the premises for 10 years, Peter Fritzen overhauled the set up and general orientation of his business in January 2011. Exhibitions of contemporary art started to become ever less important, while at the same time Peter started increasingly to focus on what has ever since been his core business: rare and precious old books and prints, with an especially large choice of historical maps and views of the former town and Duchy of Luxembourg.